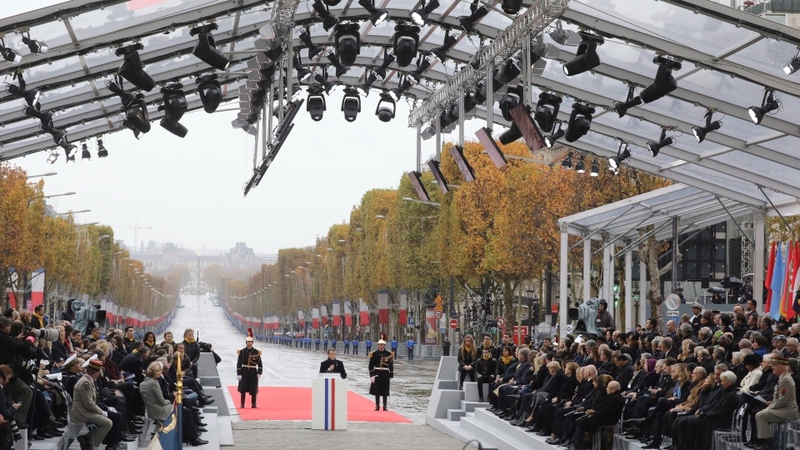 Nearly 70 world leaders have gathered in Paris to mark the 100th anniversary of Armistice Day. Also in attendance, thousands of people from around the world and Canada. Paul Thomson of Guelph was already travelling in the U.K. when he made the decision to go to Paris. His great-uncle Albert George Hughes was killed in the First World War. “He wasn’t in the trenches long before he was killed,” he says. Christopher Frederico, a Canadian veteran, was also in attendance and says being in Paris has special meaning to him. Of the nearly 10 million people died in the war more than 60,000 were Canadian.